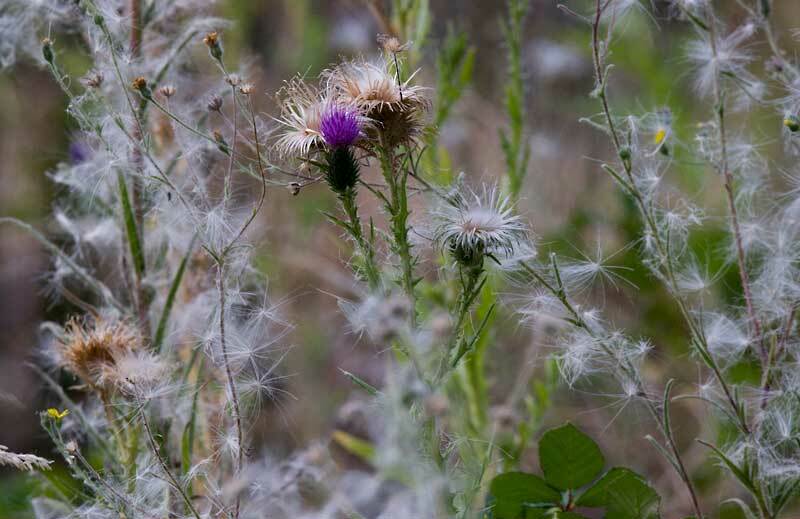 Many thistles and grasses are in "full release" mode. Love the soft simplicity..the surprise color among the fading seedlings. Beautiful autumn image!! !